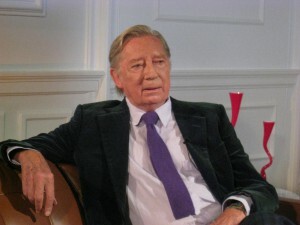 Jeremy Lloyd, the co-creator/writer of such British comedy classics as Are You Being Served? and ‘Allo, ‘Allo, passed away on 23 December at the age of 84. These are getting harder and harder to write and, sadly, they seem to be coming around more frequently in recent years. This one, however, had an added level of difficulty to it for the simple reason that several of us had the great good fortune to cross paths on several occasions with Jeremy over the years during the last 10+ years when in the UK to film Celebrating Mollie Sugden: An AYBS Special and Behind the Britcom: From Script to Screen, both for public television in America. 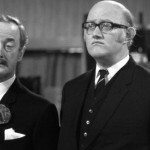 While Lloyd may or may not be a name you are familiar with, you have, most likely, spent countless hours over the years watching the results of his creative brilliance through the acting talents of John Inman, Mollie Sugden, Frank Thornton, Wendy Richard, Trevor Bannister and Nicholas Smith in Are You Being Served? and his early 80’s co-creation with David Croft, ‘Allo ‘Allo, starring Gorden Kaye and Carmen Silvera. What you may not know about Jeremy is that he started out on the front side of the camera as a ‘tall man who danced with Ringo Starr in A Hard Day’s Night and as a restaurant patron in Help!. It was his 1972 co-creation with David Croft, Are You Being Served?, that showcased his talent with a pen. 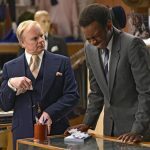 In AYBS?, many of the characters that worked at Grace Brothers Department Store are based on character known to Lloyd from his time working at Simpson’s at Picadilly. We first met Jeremy Lloyd during a 1999 interview for a special celebrating the 25th anniversary of British comedy on public television in America. He talked with series co-creator/writer, David Croft, about the beginning of AYBS. In this 2009 clip from the PBS special, Behind the Britcom: From Script to Screen, Jeremy discussed the overall charm and innocence to Are You Being Served? which led, ultimately, to the then Head of BBC Comedy, Gareth Gwenlan, canceling a series that was regularly seen by roughly 40% of the TV households in the UK. In 2013, Lloyd was awarded an OBE (Order of the British Empire) in recognition of his contribution to British comedy. I’ll never forget our last conversation in September 2009 following our final interview for the PBS writer’s special where, at the conclusion of his interview, we asked him if he’d like our make-up person to remove his make up. 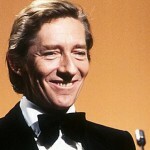 In perfect Jeremy Lloyd animated fashion and not missing a beat, he laughed and replied: “Are you kidding? 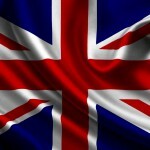 I’m almost 80 and I’m in London. Absolutely not!” RIP, Jeremy. We’ll all miss you…but your gift to the world of British comedy will live on forever. Thank you for the countless smiles over that years and yet to come. Remember Jeremy on Laugh In. He was terrific. If he only is remembered for “Are you being served”, then he’s a giant. What a tremendous show. RIP. He is a genius. I have watched all of the AYBS shows, and probably have most of the lines memorized. I also love ‘ALLO ALLO’. THANKS FOR THE MEMORIES!